If you haven't heard of Patheos.com yet, you will. Or really, you are right now. 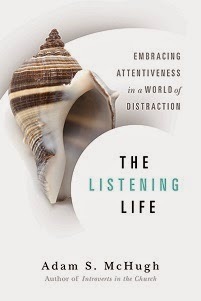 I've written a couple of articles for them about spiritual direction and listening, and I've now joined them more formally as an "expert" (yes, I think it sounds pretentious too). Patheos is a site that encourages genuine, constructive dialogue between people of different religious convictions. They have a very cool feature on their front page in which you can enter two different religions and see them compared side by side. They also do a book club which I'm hoping will feature my book in the near future. With all the polemics and trolling out there on religious websites, I really appreciate the tone and mission of Patheos. The Evangelical Portal, which I'm affiliated with, is a venue for sharp Christian thinkers to share their thoughts about the gospel, culture, academia, politics, and a variety of other topics. The lineup of people they get to write for them is very impressive. I'm hoping my expert page will raise my profile as I get ready to send in a book proposal (actually, three of them) next month and as I continue to get my thoughts out there through writing and speaking. My page includes a bio, some audio files, links to my published works, and a couple of blog posts. 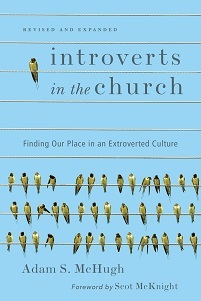 Introverted Church is still my primary blog but I will reprint some of my favorite posts over at Patheos. Thanks for all your support and your encouraging emails! I love receiving them.